If you search for school application template and its formats on Google, you are probable to rise with many of different forms for example, some free of charge, some pricing money and each mainly asking the similar questions. 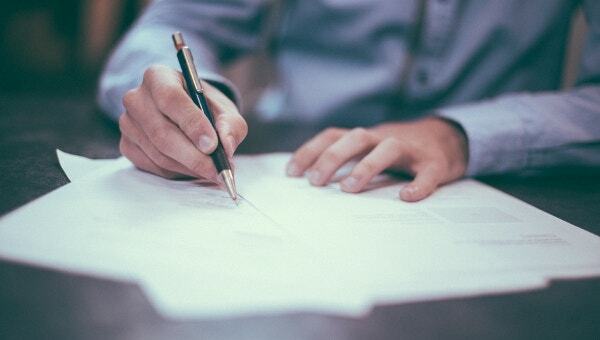 If you have passed from high school and willing to take up a work, you have to write an application template that targets the exacting job that you want to apply. You can also see Employment Application Template. Your higher school application samples must contain all the essential details required for the place. 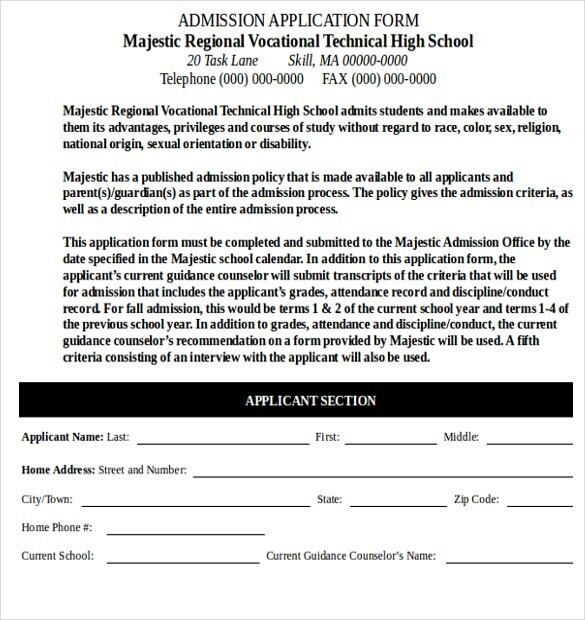 These school Application Samples that can help you get the a great deal desired job chance you are ahead of you for. 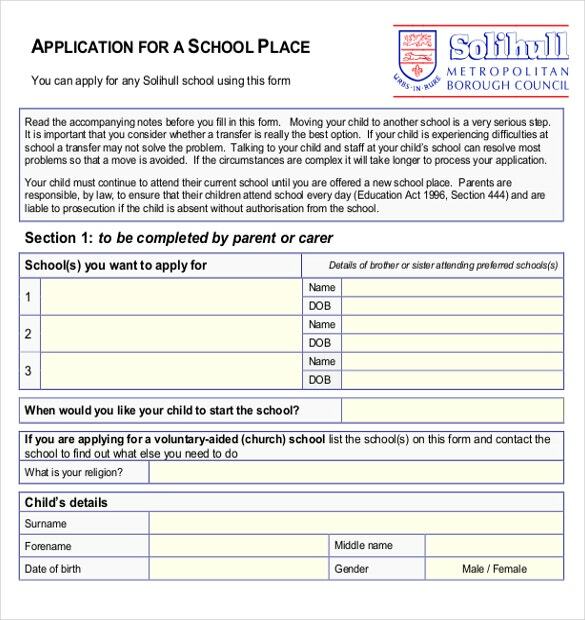 A school application template is designed to be completed by the parents or student at the time of taking admission in the school. The template includes vital information about the student including the name, age, date of birth, class, father’s name, address, date of admission and school information. 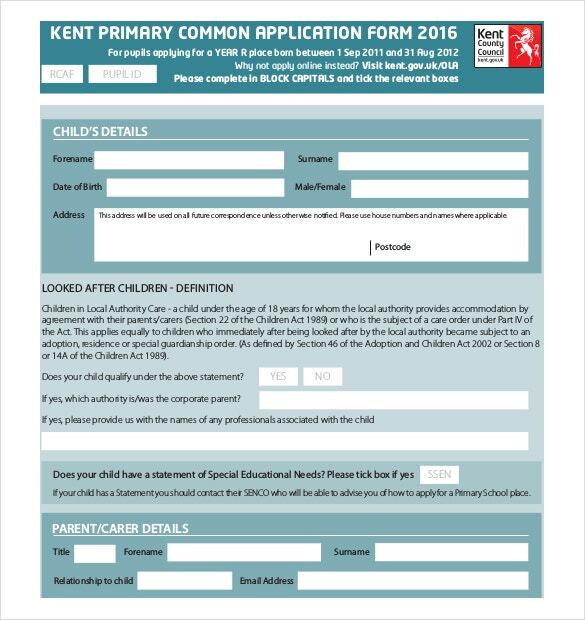 Different schools can use different school application templates based on their requirements. 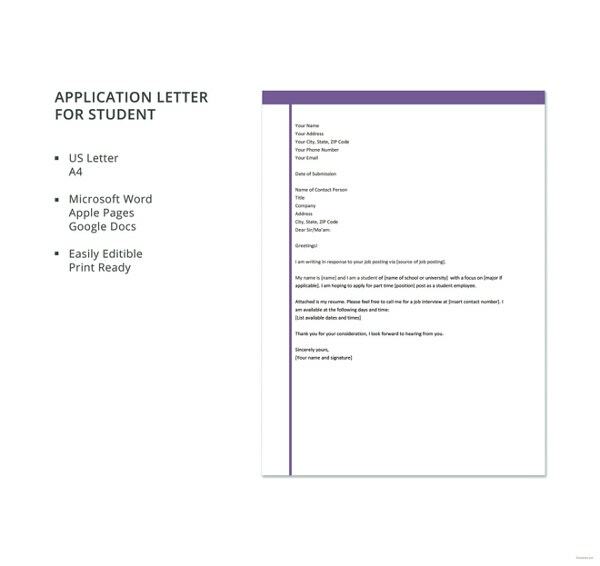 A school application template typically has the school logo imprinted along with school address. Instructions regarding the filling of the form and the list of documents required to be attached can also be included in the template. 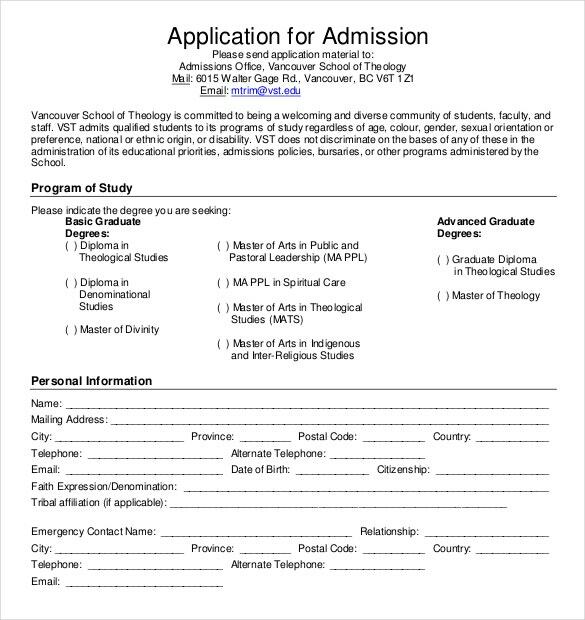 A school application template is provided by the school to the student or his parents who fill in the required details to secure the admission. You may also see Mentor Application Templates. The template also helps schools to maintain vital information about the students in a pre defined organized format.The templates help the schools to maintain the relevant information about students for easy reference. You may also see Grant Application Templates. There are certain essential features which must be included in the school application template in order to gather information about the candidates. The details are mostly filled in by the parents. The full address of the student including the city, state and zip code. Contact number of the parents. Emergency contact number of the parents if any. Date of birth of the student. Type of enrollment required by the candidate. This section may ask the parents to specify the class in which the student seeks admission. Information regarding the parents of the candidate. Hobbies and interests of the students. Medical conditions of the student if any. Special skills of the student. Information regarding the rules and regulations of the school. An agreement with the stated terms and conditions statement to be signed by parents. 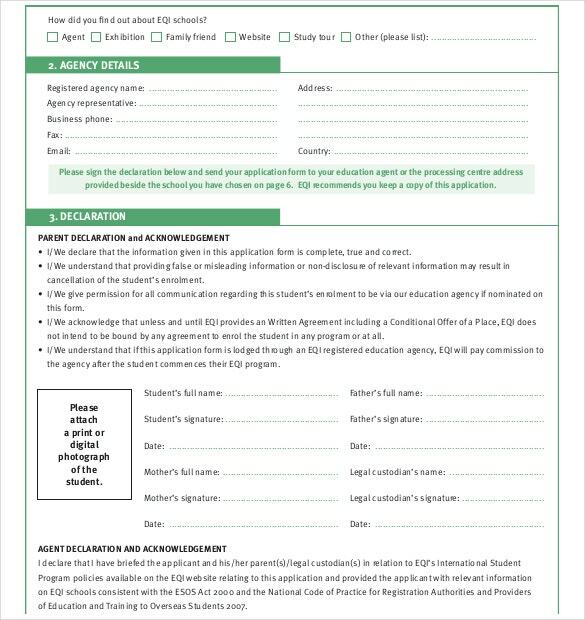 Students willing to secure a scholarship from the school may also be required to fill in a school scholarship application template. The template enables the school to organize the data and records of students in the school applying for a scholarship. A set format of applications helps in better organization of the data. 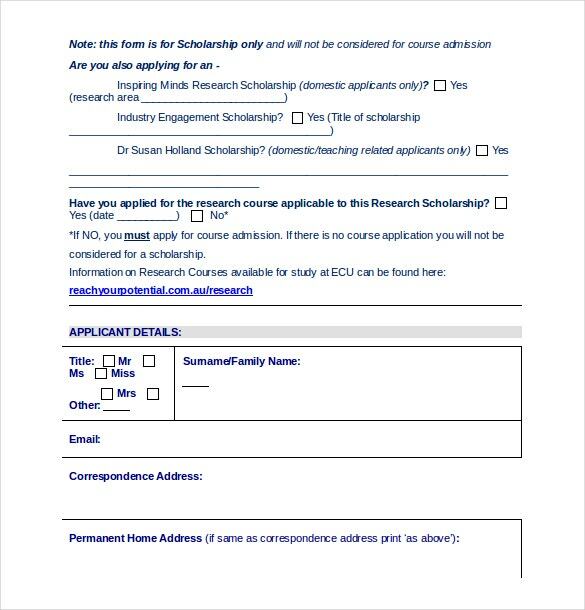 The template information can be used to assist the suitability of the student for the scholarship. It can give an overview of the student’s suitability and qualifications for the scholarship.